PLEASE NOTE: Make sure you enter the correct dates for your stay at the OMNI FANDOM EXPO 2019. STAY WITH FRIENDS AND SAVE! Here's a quick cost guide for splitting the bill. GET FREE TICKETS TO OMNI FANDOM EXPO 2019! Get ONE (1) free weekend pass and ONE (1) free Crystal Carnevale pass for each minimum two night stay per room. Limit ONE (1) per room while supplies last. Each valid weekend pass from a hotel stay will be entered in to a drawing for a VIP upgrade plus one free VIP Ticket. Step 1: Register at The Florida Hotel and Conference Center (ONLY) for a minimum of a two night stay during Omni Fandom Expo 2019. Step 2: Bring the following to the convention registration desk at Omni Fandom Expo 2019 to validate and pick up your free weekend pass. Valid reciept of your reserved room(s) from The Florida Hotel and Conference Centerfront desk during the weekend of the convention. PLEASE NOTE: The free pass can only be picked up by the person who has reserved and purchased the hotel room. Discover the Friendliest Hotel in Orlando! At The Florida Hotel and Conference Center, BW Premier Collection, we are continuously striving to provide the best in guest service and amenities. Our state-of-the-art fitness center offers a great workout, while our tropically heated pool offers fantastic relaxation. Our lodging offers an unmatched blend of luxurious comfort and world-class service in a location ideal for an unforgettable vacation. Room service select hours from 6:00a.m. - 1:00a.m. 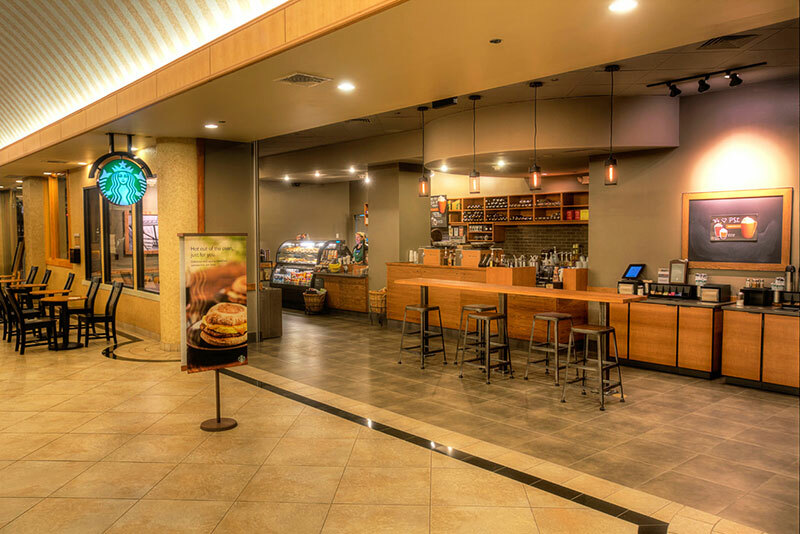 Grab a quick breakfast or delicious beverage at Starbucks, offering fresh selections of pastries and coffee in the main lobby daily. 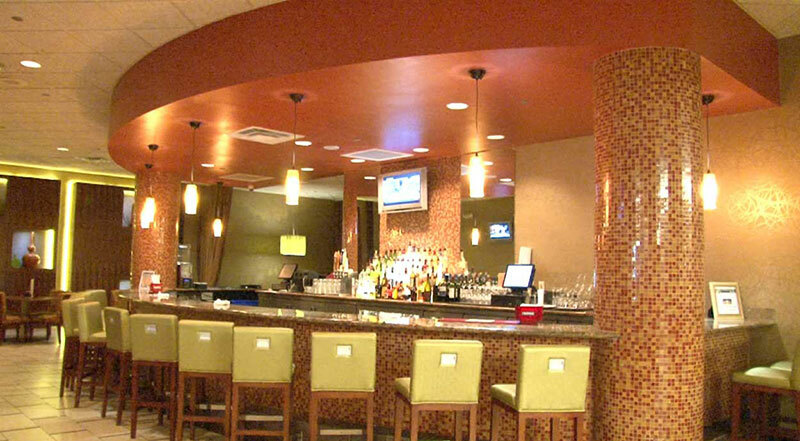 Kick back and watch your favorite team on the flat panel TV's while enjoying a cold drink in Cricket's Bar. Enjoy a delicious meal at Marcelo's Bistro, or order up room service. 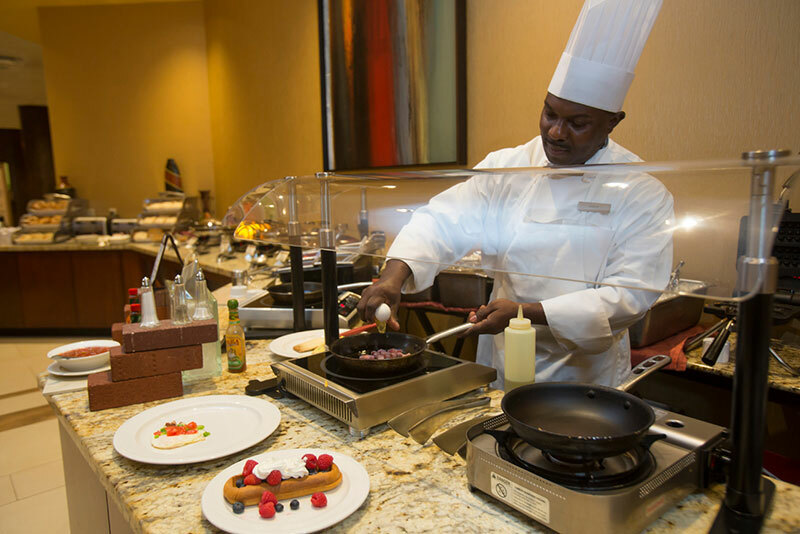 Whatever your dining needs during your stay in Orlando, our restaurants have you covered at The Florida Hotel and Conference Center, a BW Premier Collection hotel. Sit down, unwind and enjoy your favorite beverage while you watch our large screen television. Enjoy the Florida sun while you sip your drink poolside. After a long day at work, in a meeting, or traveling, come on down and relax in our inviting bar serving appetizers and drink specials daily. Discover a relaxing atmosphere and delicious dining at Marcelo's Bistro just off the lobby at The Florida Hotel and Conference Center. Enjoy traditional American cuisine featuring a deluxe breakfast buffet as well as lunch and dinner selections ranging from fresh salads to grilled steaks and seafood. Discover a delicious selection of dining options at The Florida Mall. Spanning 1.7 million square feet and welcoming more than 20 million visitors each year, The Florida Mall offers more than 250 retail, dining and entertainment options. The Dining Pavillion enhances thcustomer experience at the center, offering visitors and expansive array fo dining choices and health-conscious eateries. Want more nearby dining options? CLICK HERE!